Ashampoo Blog - How do cryptocurrencies work? You can't escape them. They're in the news, on entertainment programs or show up in Internet ads. Cryptocurrencies are ubiquitous. But how do they work and how can a single individual, that might not even exist, invent a new currency along with the technical foundation? Though there are now quite a number of cryptocurrencies available, I'll focus on the darling of the digital currency movement: Bitcoin. It was the brainchild of Satoshi Nakamoti, obviously a pseudonym of someone who wants to stay anonymous. In 2008, he (or she) published his ideas in a paper on a mailing list about cryptography. Later, the first technical paper on the software basics behind the Bitcoin network was also published under the same name. That's where the trail about this mysterious thinker ends. Whether Bitcoin was born out of single mind or an entire group is unknown. The beginnings of cryptocurrencies were equally nebulous with Bitcoins having little monetary value and being used mostly for anonymous payments, e.g. on the darknet. The concept behind cryptocurrencies is quite interesting with the basic idea being to establish a currency that is free from the influence of banks and states. There's no central bank to control the market and no reckless speculation by investors that so often create bubbles or sink money in questionable projects. Cryptocurrencies also aren't tied to any one nation and this decentralized approach (everyone can be their own bank and help promote the system) helps keep fees low - or do away with them entirely. Security is upheld through constant checks and counterchecks, encryption (hence the crypto in cryptocurrency) and anonymity. Like any other type of currency, cryptocurrencies live of the trust and appreciation of their users. Developing a new currency may be an unusual undertaking but, in the end, it's user acceptance that makes or breaks it. Generally speaking, there's commodity and fiat money. Commodity money has a value in itself based on the material it is made of. Examples are gold and silver but also cows or cigarettes. These objects have an intrinsic value along with their use as money. Fiat money on the other hand only works because its value is either government enforced or agreed upon by the exchanging parties. In theory, fiat money should always be backed by actual state-owned goods but history shows that there is no definitive certainty or stability to this effect. A few wrong decisions made by governments or banks along with dwindling trust (both nationally and internationally) can quickly bring down monetary systems. In this light, creating a new currency isn't as bizarre an undertaking as it might seem at first. Why should only states and their regulatory bodies have that right? Once a currency is accepted and used by a large number of people, it exists. The strong security underpinnings of cryptocurrencies are based on blockchains. These are decentralized and distributed digital ledgers that record transactions across multiple computers - a collective accounting system. It's like an association of traders that each record every transaction including those of their fellow traders and then compare their books for maximum consistency. Only when all the sums match is a chapter (block) closed and a new begun. A checksum is then calculated from the previous chapter and added to the next to ensure the correct order of all chapters. Together, the chapters (blocks) form a logical sequence or chain (blockchain). In more technical terms: the blockchain is a huge distributed forgery-proof database that meticulously documents all transactions. Every user owns a digital wallet and keys assigned to each individual credit amount. These private keys authorize users to spend said amounts and must never fall into the wrong hands. With their help, mathematical proof of ownership must be provided for every transaction. Pending transactions are then bundled into blocks and distributed across the network for approval. This highly resource-intensive process is called mining. For each block, a hash is calculated that is then used by the next block to preserve the integrity of the entire chain. If one of the blocks was to be tampered with afterwards, the hash would no longer match the previous block and the manipulation would immediately become apparent. Since this procedure involves complex calculations including a mathematical puzzle for each iteration, potent hardware is required. 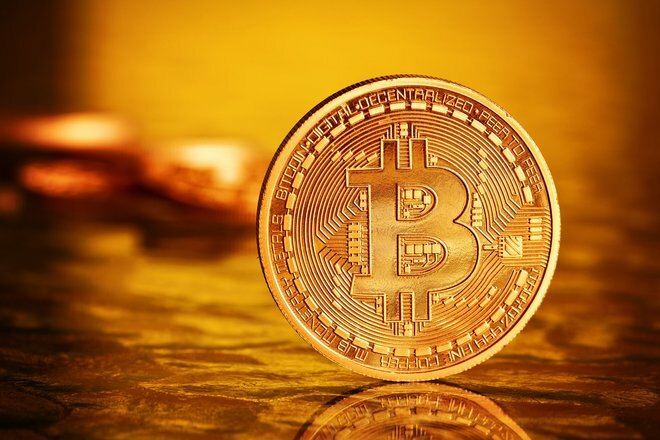 As a reward, Bitcoin miners receive transaction fees for each successfully confirmed transaction along with any Bitcoins created in the process. This is a race between all participants, though, with only a single winner every time. 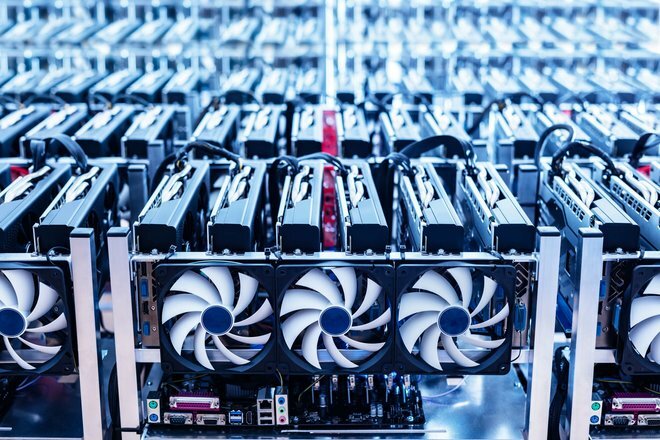 Still, mining has become a lucrative business especially in Asian countries and has led to considerable price jumps with many graphics cards. However, due to technical constraints, the reward halves every 210,000 blocks, i.e. roughly every 4 years. This limits the maximum number of available Bitcoins to about 21 million to guard against inflation and to generate additional trust. While some central banks simply start printing money in times of need, creating Bitcoins requires intensive calculations and becomes harder with every iteration especially since the mathematical puzzles also increase in complexity every time. If you don't want to mine Bitcoins yourself, you can also buy them at various online brokers. Once you're registered, you can easily exchange "regular" money for Bitcoins. You'll receive a digital wallet along with a public key (similar to a bank account number) and a private key. As described earlier, you'll need the private key to make transactions. Further details like name or address are not required turning this into a very anonymous affair - and a thorn in the side of many governments the world over. Unlike regular currencies, cryptocurrencies are not yet accepted as valid payment methods everywhere but rather considered an object of speculation. If you wanted to buy a car with Bitcoins today, you'd first have to exchange them for regular money. This is slowly changing especially with online shops, however, and, as the level of acceptance rises, it's only a matter of time until you can pay with Bitcoins at Amazon. Initially, cryptocurrencies were considered an exotic playground for computer freaks and trailblazing investors but the phenomenon has now reached the masses. New currencies sprout up every day only to embark on a roller coaster ride causing financial experts to proclaim the end of the cryptocurrency "bubble" on a daily basis. I for one am eager to see how this complex matter continues to evolve and will surely keep you updated and maybe touch on other related aspects in a later article. What I would like to know: have you already dived into cryptocurrencies or do you take this boom with a grain of salt?